Having bad credit can cause a mountain of problems. Namely HIGH INTEREST RATES. Most people who have bad credit are always searching for ways to improve their credit score, lower their interest rates and thus save money. One way to improve your credit score is to get a secured credit card. While standard credit cards often require good to excellent credit, a secured credit card doesn’t. Regardless of your credit rating, many secured credit cards offer guaranteed approval. How can a secured credit card help raise your credit score? What’s great about a secured credit card is that it looks and functions exactly like a regular credit card. No one would have to know that you’re using a secured card or that you have bad credit. This information is strictly between you and your credit card company. As soon you’re approved, you have the chance to rebuild your credit history. It’s important to look for a secured credit card that reports regularly to the major credit bureaus. This way, your credit report would be updated immediately as long as you pay your bills on time. To activate your card, you must submit a security deposit in your account. Some credit cards require a minimum of $300 as security deposit while others may require at least $500. Your deposit would be used in case you fail to pay. This gives your credit card issuer the guarantee that even with your low score, they won’t lose their money by giving you a credit card. There is no way to default on this sort of card. Consequently, the amount of your security deposit also defines your credit limit. If you submitted $1,000 in your account, then it is most likely that your credit line would be of the same amount. Some secured credit cards offer a slightly higher credit limit than the amount deposited. However, the value of your credit limit is still directly dependent on your security deposit. 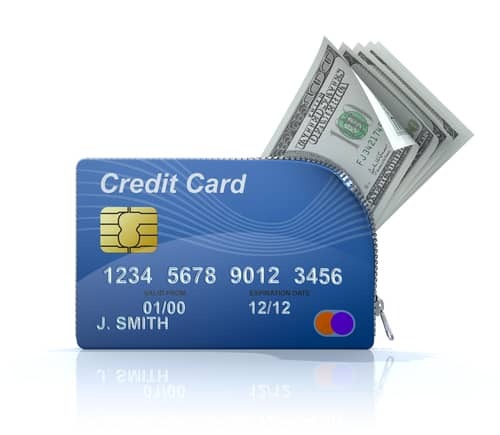 When choosing a secured credit card, you need to do your research extensively. Some cards may charge hidden costs or outrageous processing fees in exchange for easy approval. But just because you have bad credit doesn’t mean you should settle for unreasonable terms. Finding the right credit card can save you hundreds of dollars in a year. Most secured credit card companies are honest and will give you low fees, But there are now so many places to obtain these cards, its allowed a few bad apples to get in. Just read the fine print and you will be fine. The secured credit card offers found here on CreditCreators.com are all good ones. No hidden fees. Again, improving your bad credit with the help of a secured credit card greatly depends on how you handle your account. To avoid credit build up, it as recommended that you pay off your charges in full each month. Avoid the additional interest rates and late penalty charges by submitting your payments on time. Of course, how you use your card makes a big difference. Don’t charge expenses to your card if you can’t afford to pay it off in full and on time. Pay attention to your spending habits and avoid splurges. If you own more than one credit card, don’t incur charges on all your cards at the same time. Doing so would make repayment a lot more difficult for you. Finally, check your credit report regularly to see if you’re credit is improving. If so, you can request your credit card company to upgrade your account to a non-secured one.